Dyslexia treatment ( Meares Irlen Syndrome ) with colour tinted glasses. Colour tinted glasses can be effective treatment for adults as well as children with dyslexia and can benefit some people with headaches, migraine, and photosensitive epilepsy. Statistics show that about 10% of the population have dyslexia – 6 million people in the UK. It is estimated that 80% of children with learning difficulty have dyslexia. Many famous people have been affected by dyslexia including Winston Churchill, Albert Einstein and Richard Branson. Some common facts about dyslexia. how the effects of dyslexia have made her life challenging: She is a brilliant actress with reading difficulties! She also wants to learn how dyslexic brains differ from those with no reading problems. 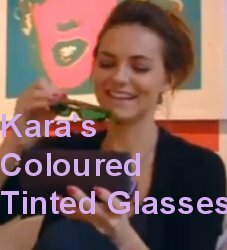 Kara Tointon’s story 4. Kara has learned to move information from her short- to her long-term memory. She is able to learn her scripts in half the time it used to take her. She visits an optometrist (optician) who has a special interest in dyslexia. The white background of a page can make word processing by the brain difficult – ‘visual stress‘. 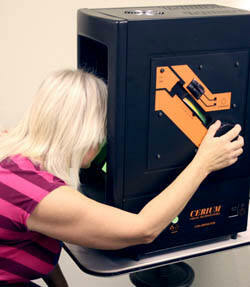 Colorimetry testing helps define the exact colour filter required by an individual. The appropriate colour tinted glasses are prescribed as treatment. She is excited when her colour tinted glasses arrive – these change her ability to read and she is able to look forward to being able to read books as never before. The glasses prove to be excellent treatment for her reading difficulties. If you or one of your loved ones would like to see how a coloured background might help with reading difficulties please visit our free visual colour dyslexia test. 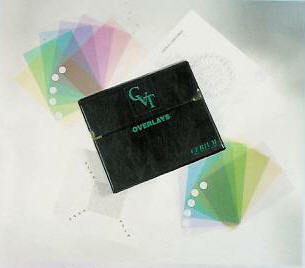 Each individual’s optimum colour will be different and likely to involve a combination of tints. The Intuitive Colorimeter is a simple optical device that shines coloured light on a page of text and allows the user to vary the light with three controls, one for colour (hue), one for strength of colour (saturation) and one for brightness (luminance). The variation of hue and saturation is continuous. Luminance may be selected from one of four levels. 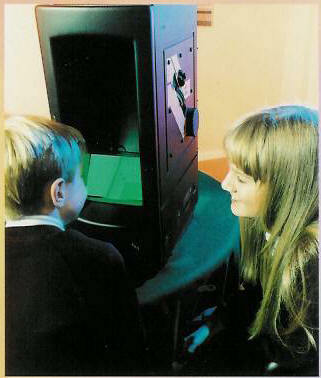 Once the best combination of tints has been determined the Colorimeter findings are introduced into a computer program to ascertain the precision tinted glasses for reading. Children often describe the resulting clarity as “magical”. DISCLAIMER The aim of this web site is to provide a general guide and it is not intended as a substitute for a consultation with an appropriate specialist in respect of individual care and treatment. Colour tinted glasses can be effective treatment for adults as well as children with dyslexia – Meares Irlen Syndrome . How may text appear to those with dyslexia?